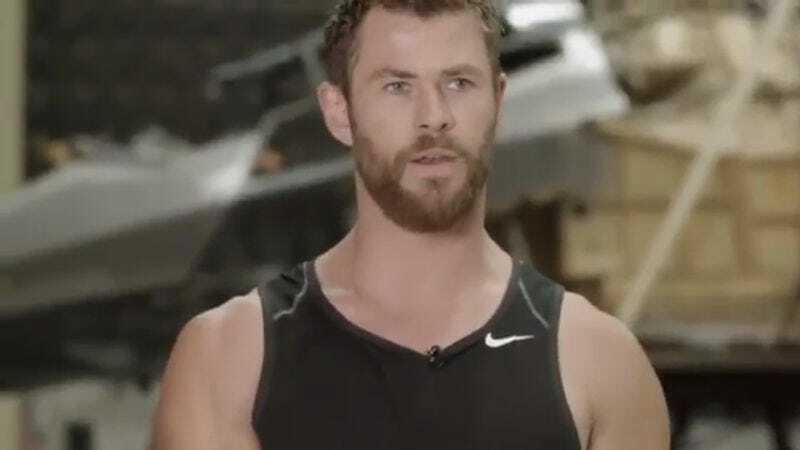 Chris Hemsworth has slowly emerged as the Marvel cinematic universe’s MVP, with the Thor actor’s ability to pivot between badassery, pathos, and sharp one-liners getting better with each appearance. Still, some might say he remains an unappreciated part of the MCU, a perspective he confronts head-on in a new clip posted to his Instagram. “He’s just a kid, he can fall over,” he says of Spiderman, though it’s unclear whether he’s referring to Spider-Man: Homecoming’s Tom Holland, who actually is a child, or bygone players Tobey Maguire or Andrew Garfield, both of whom look like children. Regardless, we look forward to Thor’s return in Avengers: Infinity War.